As an independent agent, we will quote you will all of our companies. They will compete for your business so you can get the best possible price and coverage. An A rated national insurance carrier incorporated in Minnesota. They have a reputation for great customer service and excellent claims handling. An A rated national insurance carrier based out of Manhattan, New York. They have a reputation for great customer service and excellent claims handling. An A rated national insurance carrier based out of Hartford, Connecticut. They offer great customer service and claims handling. Their rates are very good for AARP members.  An A rated insurance carrier based out of Chicago, Illinois. They have a reputation for great customer service and excellent claims handling. The Philadelphia Contributionsip is an A rated homeowners insurance carrier based right here in Philadelphia and was founded by the one and only Benjamin Franklin. It is the oldest standing property insurance carrier in the United States. An A carrier headquartered in Los Angeles, CA. Mercury provides auto, homeowners, & renters insurance. An A rated national insurance headquartered in Mayfield Village, Ohio. They have a reputation for great customer and excellent use of modern technology. An A rated subsidiary of Farmers Insurance. Foremost specializes in modular/manufactured homes, vacant properties, landlord dwellings, or homes with too many losses to qualify with standard carriers. GMAC is based out of North Carolina. They have recently changed their company name to National General. Infinity has an A rating from AM Best and is based out of Birmingham, Alabama. They focus on the "non-standard" market of insureds who may have some incidents on their driving record. Capitol insurance is based locally in North Wales, PA. They often specialize with customers who have no prior insurance and require full coverage on a vehicle which has a loan. American Independent is based out of Plymouth Meeting, PA. They are a good option for customers who need state minimum, liability only insurance. American Independent is based out of Atlanta, Georgia. They are a good option for customers who need state minimum, liability only insurance. Access General specializes in insurance for customers who need state minimum coverage. Dairyland Cycle is an excellent insurance carrier for motorcycle riders. They offer great discounts for those who have other lines of insurance within the agency.